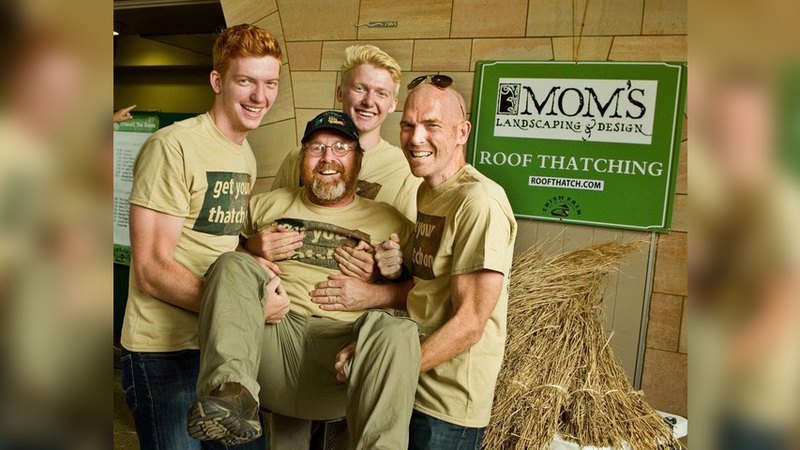 We first introduced the Twin Cities Metro to the extraordinary Ohio-based craftsmen when we spent a weekend with him and sponsored his roof-thatching exhibit at the 2015 Irish Fair of Minnesota on Harriet Island in St. Paul. This season we are exclusively able to apply his old world artistry on our own one-of-a-kind potting sheds, pool houses, gazebos, arbors and outdoor kitchens in Minnesota. If there is a sameness to Mom’s clients it’s that they want something different. It doesn’t matter if the project is large or small. Mom’s family appreciates personalized artistic expression that will transport them without leaving home. Colors, textures, shapes, and even the occasional seasonal palm (the mother of all annuals) combine to create dramatic backdrops for Minnesota’s richest outdoor experiences. After getting to know the man and his handsome thatch creations, we understood that Mom’s could offer remarkable craftsmanship and storybook structures with an unrivaled back story. William began his thatching career on Irish patriot Padraig Pierse’s cottage in Ros Muc and the cottage attached to poet W. B. Yeats’ castle in Gort, both in County Galway. The Smithsonian Institute sponsored him to help thatch the famous Jamestown Church in historic Jamestown Settlement in Virginia. Later he would work on projects for the likes of Martha Stewart, Tom Monaghan and the Chicago Botanical Gardens. William has been featured in national magazines, leading newspapers and television shows for three decades and still does most of the handwork himself. Now he is ready for his first Mom’s collaboration right here in Minnesota. Every William Cahill roof comes with a story. It starts with William harvesting and bundling American Phragmite reeds along the East Coast in winter for the next season. By the time he secures and dresses the bundles and sculpts his signature decorative ridge, a roof could require up to a million reeds. Somewhere among the thick honeycomb field, he’ll hide a small pouch of Irish coins for the next thatcher who returns, usually in 15 to 20 years. For the full experience, brew a pot of tea and settle in for a chat about Irish history and William’s remarkable journey thatching structures from coast to coast and in the islands for private estates, public places and resorts. We think thatch roofs will appeal to Mom’s clients who cherish memories of cottages they saw when traveling in Ireland or the European countryside. Others may simply covet a conversation piece that none of their friends can match. 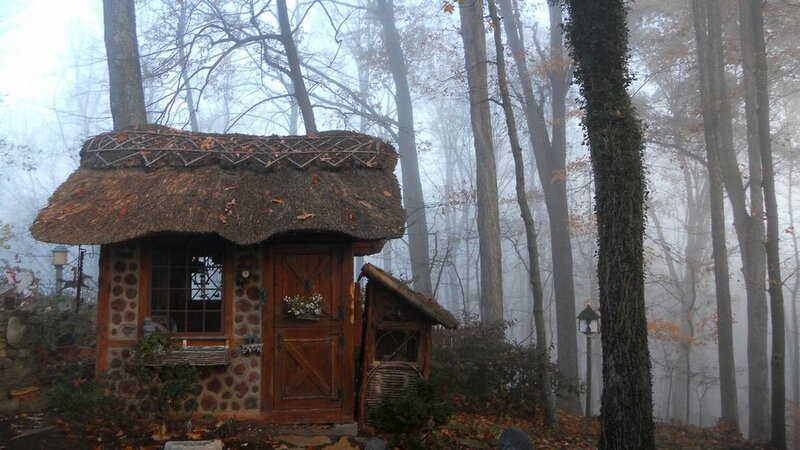 And everyone will appreciate the unmatched beauty and old-world craftsmanship that a reed roof provides. Thatch can be installed over solid decking with a continuous waterproof membrane or atop open rafters and spaced battens so the reeds can be enjoyed from below. Either way, the thick overlapping reeds will efficiently direct water from the ridge to the eaves. A steep pitch (at least 45 degrees) is essential for Minnesota’s snowy winters. To explore incorporating a thatch roof in your new outdoor living environment, please contact us.